St. Patty's Day Irish t-shirts for the born Irish or Irish for a day! 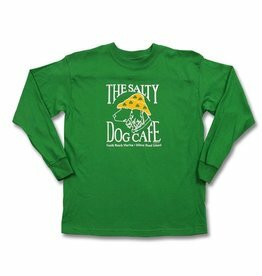 This Kelly green 100% cotton Gildan T-Shirt shows Jake's Irish spirit with his signature Yellow Sou'wester hat covered in shamrocks with a small Salty Dog logo on front left chest. St. Patty's Day Irish youth long sleeve t-shirts for the born Irish or Irish for a day! This Kelly green 100% cotton shirt shows Jake's Irish spirit with his signature Yellow Souwester hat covered in shamrocks. Large logo on front. 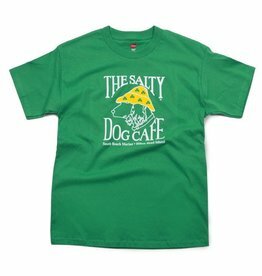 This Kelly green 50% cotton/ 50% polyester Hanes¨ T-Shirt shows Jake's Irish spirit with his signature Yellow Souwester hat covered in shamrocks. 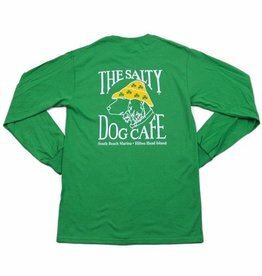 Large Salty Dog logo on front only.